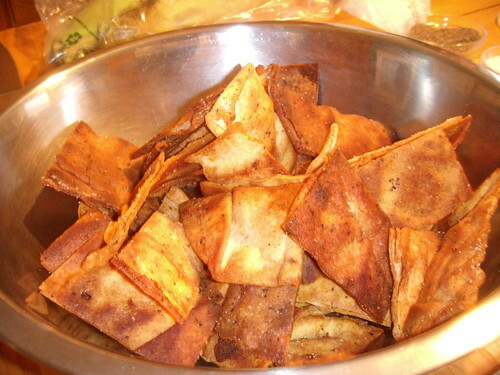 pita-ish chips, originally uploaded by aarn! +28th May, 2008+. a bunch of old lebanese flatbreads were getting more stale by the day, so they were chopped into strips and seasoned in rice vinegar, salt, cayenne, and some curry powder and then baked for a while.